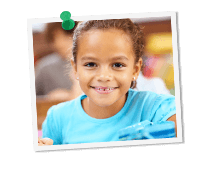 Knowing how to take standardized tests well is an acquired ability for many students–and that’s why Grade Potential offers test prep tutoring catered to you. We know how important it is to head into standardized tests feeling confident and able to perform when it counts. Whether it’s the SAT, ACT, GRE or any other test, our expert test prep contract tutors are well versed not only with test questions, but also with test-taking strategy. The personalized attention of a contract test prep tutor from Grade Potential makes all the difference in terms of building test-taking skills. Tests are a big part of every college program. That’s why, whatever a student’s major or grade level, feeling empowered to take tests is crucial. It’s also why Grade Potential provides contract test prep tutors who are specially suited for each student. We provide test prep tutoring for SAT, ACT, ASVAB, GRE, GMAT, LSAT, MCAT, CBEST, CSET, TEAS, PSAT, STAR, SSAT, ISEE and many other tests!